This Asics Gel Wrestling Headgear will keep your head cushioned and protected on the mat. Make sure you're keeping safe with the right head protection equipment - and you can't go wrong with this durable and secure headgear from Asics, which offers superior comfort and performance. Gel cushioning system for excellent shock absorption. 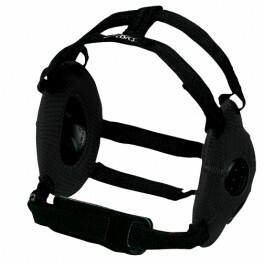 Forehead straps with hook and loop closures which are adjustable. Neoprene chin cushion for added comfort. US Patent Nos. D384,774 and 5,685,02.